"...This certainly ranks as one of the most important discoveries in science in the last 300 years..." Peter Lindemann, D.Sc. "...The double oscillator is also the best mechanical analogy of the alternating current, even better than Tesla's analogy..." prof. Velimir Abramovic, Ph.D. "...It is estimated that the input of gravity in the performance of biphase oscillator is around 80%..." academician prof. Bratislav Tosic, Ph.D. 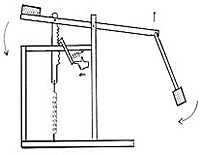 The Secret of Free Energy from the Pendulum by Jovan Marjanovic, M.Sc. 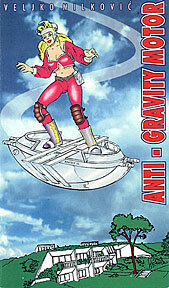 Theory of Gravity Machines by Jovan Marjanovic, M.Sc. Keys of Understanding Gravity Machines of Veljko Milkovic by Jovan Marjanovic, M.Sc. The goal of this work is of to clarify some issues concerning two inventions of Serbian inventor Veljko Milkovic. The first invention is two-stage mechanical oscillator and second one is inertial propulsion cart. Mechanical Feedback Loop Problems and Possible Solutions for the Two-Stage Oscillator by Jovan Marjanovic, M.Sc. The goal of this work is to share findings and problems in an attempt to close mechanical feedback loop for two stage mechanical oscillator of Veljko Milkovic. 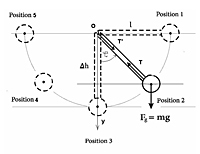 This work is a continuation of the work Keys of Understanding Gravity Machines of Veljko Milkovic with some additional insights after several attempts to finish the mechanical feedback loop. In this document I will show that Mr. Milkovic's two stage oscillator may be viewed as a damped parametric oscillator, and that pumping of energy from the driving, swinging pendulum is not a precedent in the world of physics, but rather, an expected effect due to a well-known phenomenon called parametric excitation, parametric resonance or parametric pumping. Consequently, a ready-set of modeling tools should be applicable to properly model the device. Two-Stage and Three-Stage Oscillator as a Compressor by Zoran Markovic, Ph.D. The Physics of the Two-Stage Pendulum Oscillator by prof. Colin Gauld, Ph.D. Analysis of the influence of the centrifugal force during operation of the two-stage mechanical oscillator by Jovan Bebic, M.Sc. Angular Momentum, Parametric Oscillator and Over Unity by Jovan Marjanovic, M.Sc. The goal of this work is to present mathematical and experimental proof of getting energy surplus or over-unity energy out of gravitational field by using pendulum as parametric oscillator. 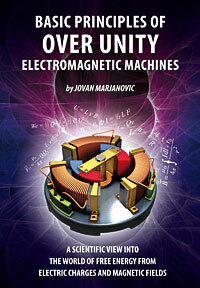 Basic Principles of Construction for Over Unity Electro Motors and Generators by Jovan Marjanovic, M.Sc. The Case in Electro-Magnetism Where Newton's Third Law is Not Valid and Getting an Energy Surplus in an Electro Generator by Jovan Marjanovic, M.Sc. 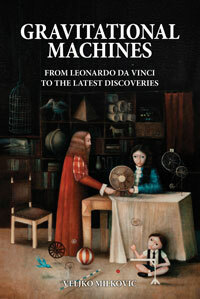 The Mechanical Engine: A Re-Evolution of Bessler's Wheel by Peter Lindemann, D.Sc. Common problems with mathematical models and Lagrange's equations for two-stage oscillators by Jovan Marjanovic, M.Sc. This paper will discuss two basic problems with mathematical models of the two stage mechanical oscillator of Veljko Milkovic; problem with dynamical usage of input energy and problems with soft connection between members of the system. Modeling and simulation of a double pendulum with pad by Bojan Petkovic, M.Sc. Oscillation of the lever caused by the swinging of the pendulum by academician prof. Bratislav Tosic, Ph.D.
Commission members of the SAIN Academy, on the basis of the submitted documentation and following a successful demonstration, reached a conclusion on the Two-Stage Oscillator. The goal of this work is to answer two basic questions: how to construct an efficient two-stage oscillator and how to measure the quotient of efficiency of the constructed oscillator.